Bjorn Erik Englen was born in Vaxjo, Sweden. Since 1986 he has played over 1500 live shows, played on over 30 albums and taught bass through clinics world wide as well as at M.I. (BIT). and L.A.M.A. colleges of music. Although soccer is what kept Bjorn occupied most of his free time as a kid, Bjorn started listening to music at an early age and Kiss was his favorite band. 1977 - At the age of six, he and his buddies would dress up (full make-up and costume) just like the band with Bjorn acting as Gene Simmons and sometimes Paul Stanley, spitting red food coloring all over the living room floor pretending to play bass. 1984 - "I remember the very first time I played a bass. I was in 7th grade, and a friend of mine showed me a 12 bar blues in the key of "A" with me just playing the root-notes, and I was completely stoked!" Bjorn laughs. 1993 - As Bjorn got older and his musical chops more refined, he realized it was time to move to a bigger city in order to reach his goals of becoming a major recording artist and an internationally respected bass player. Los Angeles was the target and after only a couple of months, Bjorn joined the group Ashen, made up of all M.I. instructors, and many live performances at major clubs in town followed. 1994 - The multi-platinum metal group Quiet Riot, who sold over 10 million copies of their first album "Metal Health", was looking for a bass player. Shortly after sending them a promo package he received a phone call from lead singer & manager Kevin DuBrow who was very impressed and wanted to get him in for an audition. 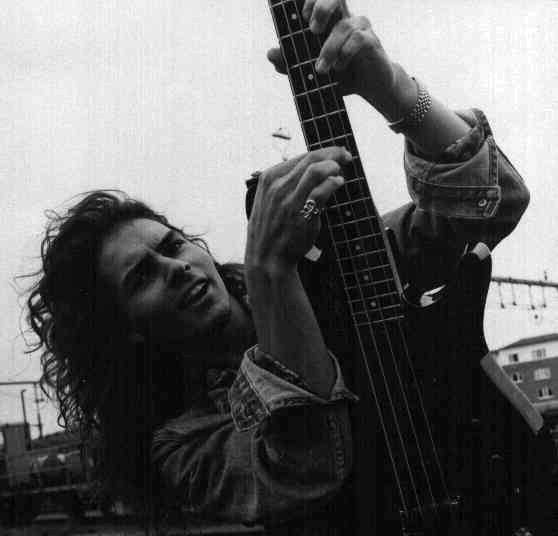 Bjorn did pre-production work and promo with the band (3 members from "Metal Health") for the upcoming album "Down to the Bone" in1994-95 as well as 22 shows of the 1995 Tour supporting the album. 1995 - Shortly after getting off the tour bus he formed the band Soul Sign. They recorded an EP and have since then played numerous shows around the US and Europe. 1996 - Bjorn toured the U.S. with Wrestless Natives, taught Live Playing Workshops at the Musicians Institute in Hollywood, and did extensive live performing all over California. 1999 to 2000 - Bjorn recorded and toured in North America as a member of Heaven & Earth featuring Foreigner vocalist Kelly Hansen as well as members of Sweet and Dio. 2004 to 2006 - he played numerous shows throughout the U.S. with MSG/Survivor vocalist Robin McAuley, and formed a short-lived band, Bleed, with McAuley. 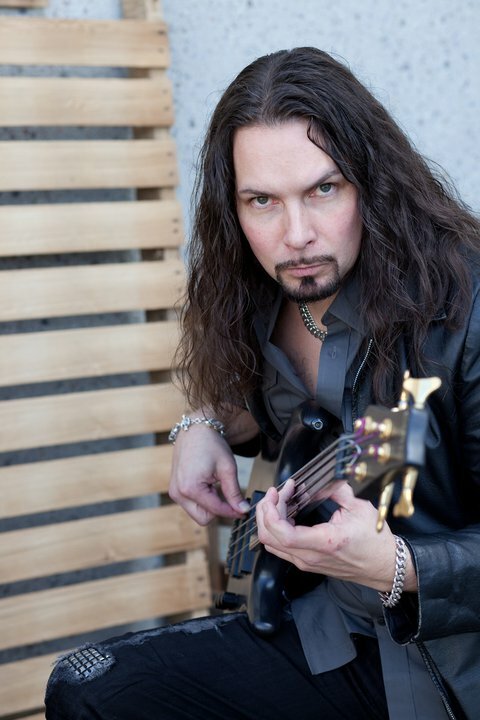 2007 to 2009 - Since 2007 Bjorn has played bass for Yngwie Malmsteen's Rising Force and as a member of the band toured Europe and the US in 2008. Six sold-out co-headlining shows with Deep Purple in Japan were completed in April of 2009. 2010 - Bjorn toured Sweden with Soul Sign in March, 2010 and Russia/Israel with Yngwie Malmsteen in April, 2010. 2011 - started off great with an exclusive show with Yngwie Malmsteen at NAMM followed by shows throughout California with the legendary Scorpions guitarist Uli Jon Roth. In July Bjorn got hired by yet another guitar legend in Tony MacAlpine to play an exclusive show in Los Angeles. In August of 2011 Soul Sign released their long-awaited allbum "Life In The Dark" via iTunes. A physical release is scheduled for December 1st. Bjorn toured North America with Yngwie Malmsteen again in October and November of 2011. 2012 - In Feb/Mar Bjorn did a 26 cities European Tour with Tony MacAlpine. Soul Sign recruited Malmsteen/Roth vocalist in August of 2012. In October Bjorn joined forces with the official Dio band DIO Disciples and embarked on a 24 cities US Tour. 2013 - DIO Discples performed at the MoR Cruise and did a South- and North American Tour. Soul Sign toured in Scandinavia in May of 2013. Bjorn continues doing sessions, clinics and writing in between tours. Thanks to: Chineeda Barrios, Doug Margetts, Micke Ringdahl, Don Lemmon, Patrik Johansson, Billy Sheehan, John Paul Jones, Yngwie Malmsteen, Steve Harris and anyone else who's been of guidance, support and/or inspiration. Click here to see what's NEW with Bjorn ! San Diego, CA 2011. Photo by Carvin. Sweden 1992. Photo by Frans Hellqvist.